I don't think I am revealing any major secret by talking about C Red's "other" life. It's well known around here and he freely talks about both parts of his life. C Red is a teacher on the south side of Chicago. He is dedicated and passionate about his job and his calling. It's heart-warming to see him work so tenderly with these students after seeing the showy, bombastic performer in the wrestling world. Every year, C Red organizes a wrestling show at the school. I have been at several of these shows and I will continue to do whatever I can to help at these shows. It s the least I can do and I am proud to be a small part of the day. C Red is the true hero though. Wrestlers and helpers join the cause because we loved C Red and we respect what he does (in both worlds). The students absolutley love these shows. Seeing their eyes and hearing their cheers is really one of the highlights of my year. There are also other events at the school. It's not unusual to see celebrities or athletes visiting there. 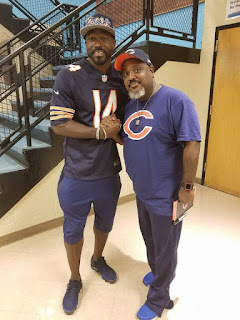 Such was the case when Deonte Thompson of the Chicago Bears appeared there for an event. I meet a lot of celebrities, who are role models for youngsters. With no disrespect to any of them, there is no better role model than C Red. 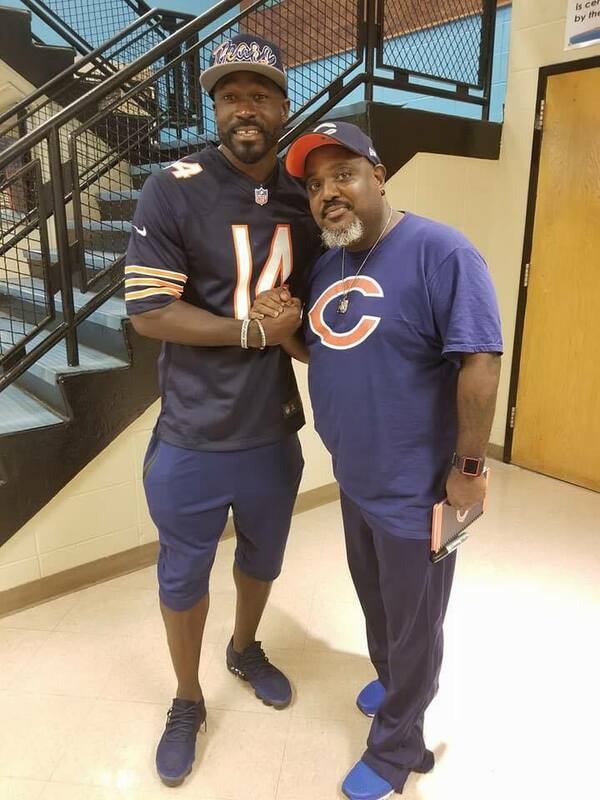 Deonte Thompson and Sean Young in Chicago, IL-August 2017.